Looking to pick up a hobby? If you’re a little artsy or want to be, Hues & Tones is the place to go. If you think only kids enrol in hobby workshops, you’ll be surprised to see people of all ages (from 8-year-olds to people up to 65 years of age!) trying their hand at various things at Hues & Tones Art Studio. 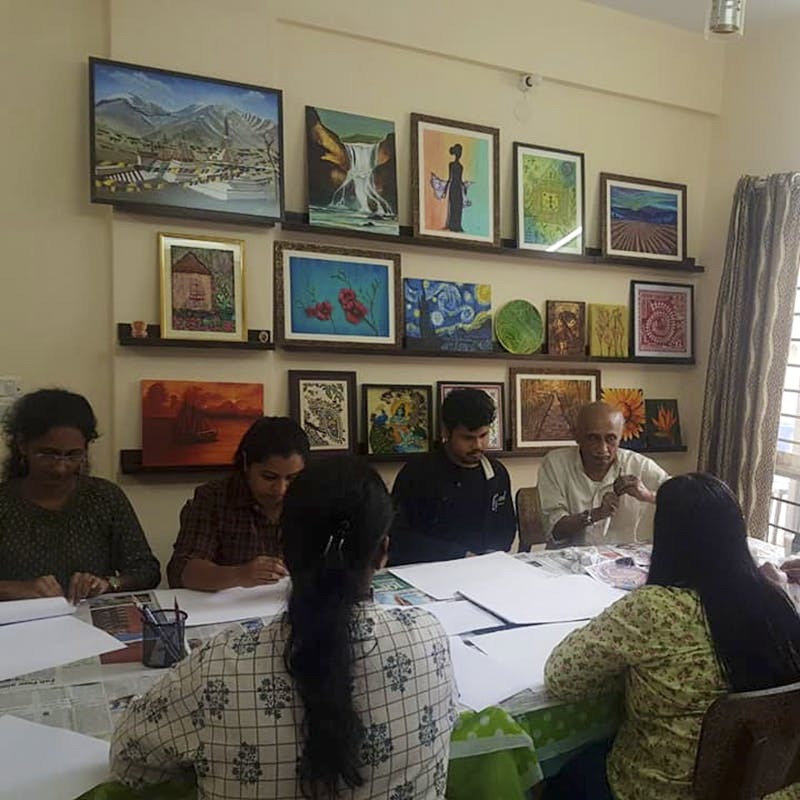 Founded by Priya Ramanathan, the studio is a quaint little 1 BHK where you’ll find regular as well as weekend classes, workshops and activities related to art. Priya is an art instructor herself - she used to work in the IT industry and would teach at various studios in the city during the weekend. After 2 years of conducting weekend classes, she decided to pursue her passion full-time and so, lo and behold, Hues & Tones Art Studio was born. Since it opened in July 2018, the studio has conducted over 60 workshops in association with artists from all across the country, including Chennai and Mumbai. Some of our favourite workshops so far have been the gold leaf gilding, lampshade painting and kettle decoupage. If you’re looking for regular art classes during the week, just reach out to Priya and she will guide you with the entire process. These classes are conducted from Wednesday to Friday every week, and you can customise them to fit your schedule, so whether you want to take up a class thrice a week or just once every week, you get to perfect your skills at your own pace. Priya also conducts art workshops for corporates, so if you’re looking for a teambuilding exercise or to help your employees destress, you can reach out to her. She also does custom orders for gifting, including jewellery boxes (they make great festive gifts!) and paintings.